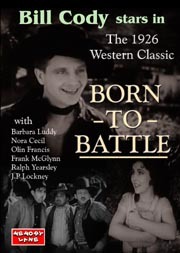 Here is a really obscure silent film starring Bill Cody! of it, especially Billy who is in love with old Luke's daughter). they must try to clear their names by finding the real culprits! If you want to see Cody in his prime this one is for you! Black and white, Silent with music score First time on video!